I can’t be the only one that has a bunch of extra wheel and tire sets out there. Somehow I have five full sets of them rattling around… and a few singles. I have 22 tires total… no idea how that happened. I’ve been storing some of them on a modified metal garage shelf, but it’s pretty rickety and scary. 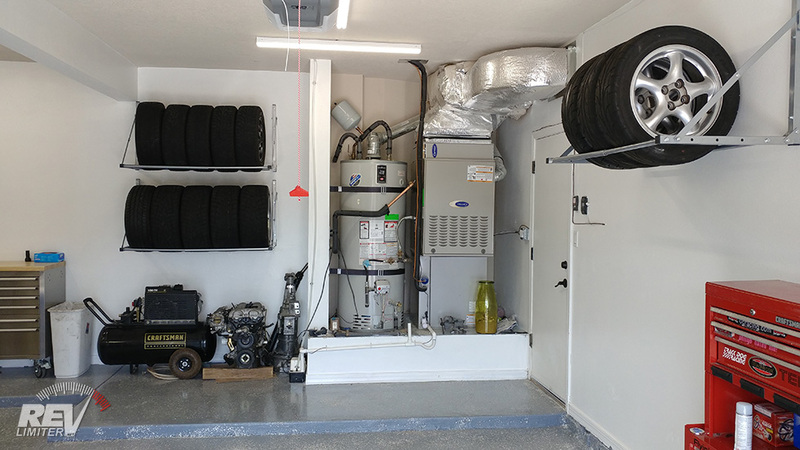 When I moved Sharka and Bucky into the new garage, I promised myself I’d get something better. 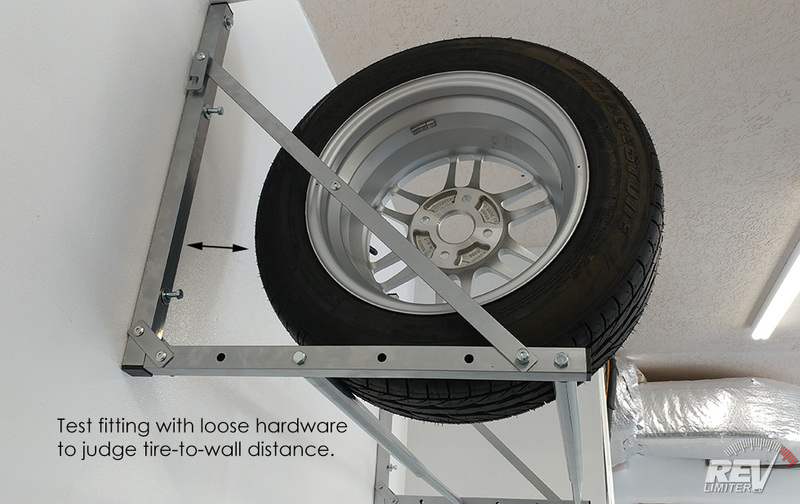 Enter the HyLoft “Folding Storage Loft” tire rack! 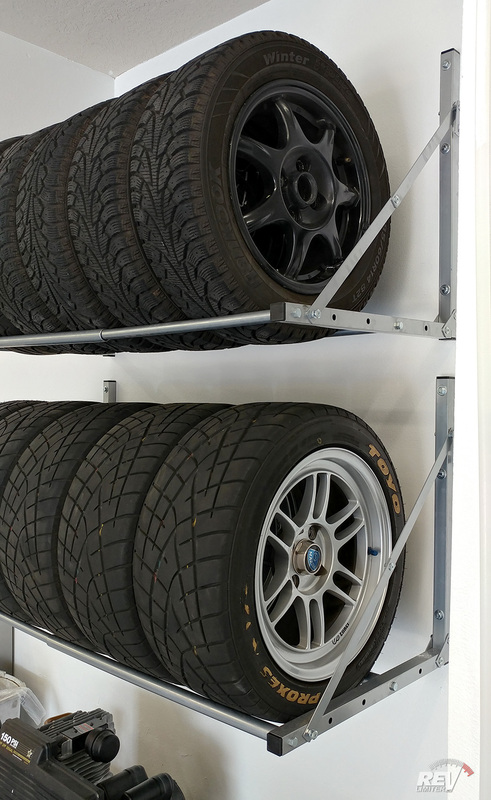 These racks are adjustable from 32″ to 48″ (based on 16″ centered wall studs) and “fold.” Each is capable of holding 300 pounds (136 kg) of wheels and tires… which is a LOT of Miata-sized wheels. More than can fit in 48″ of rack. A suitable empty wall space. I settled on a fairly protected area way in front of the cars. If the tires fall here, they might crunch my ancient air compressor or bend up a spare engine part or two. Not too worried. … though apparently I’m worried about it enough to type about it and justify my rack placement to myself. Stock hardware vs upgraded hardware. 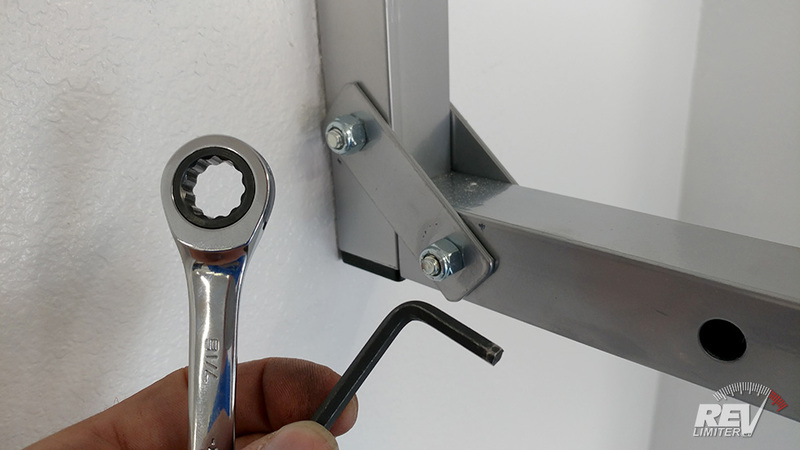 The HyLoft racks came with 3″ lag screws to mount the racks to the wall… which seems beefy in your hand at first. But a bit of common sense and a tape measure quickly make you go “uh oh” and run to the nearest hardware store. The racks are roughly 1.25″ thick. Drywall is about a half inch thick. 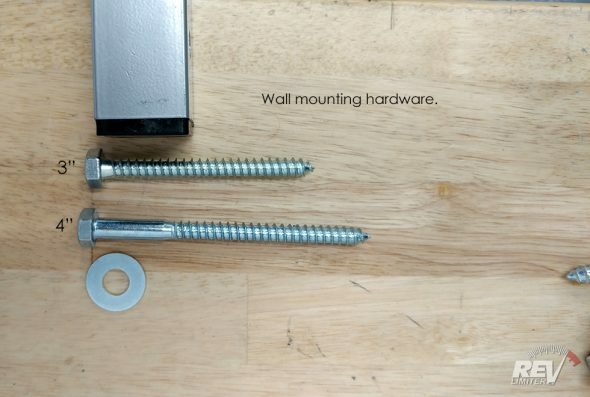 That gives 1.75″ of lag screw that’s not really doing a damn bit of good. 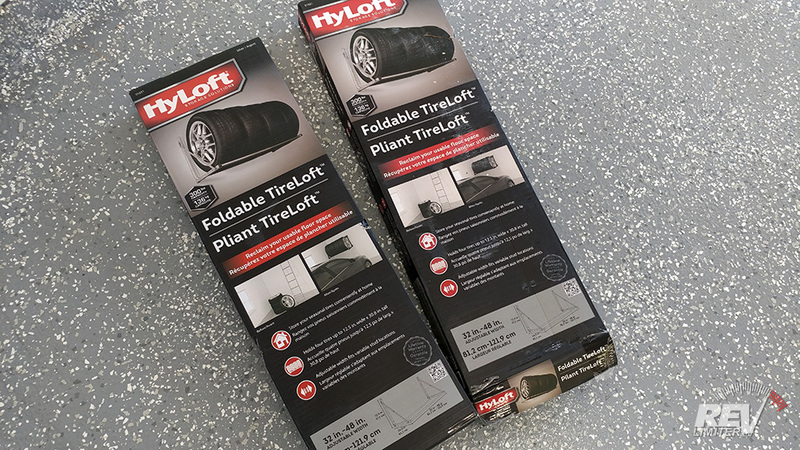 Only the first 1.25″ of lag screw is penetrating the wall stud and securing your race rubber above your car’s delicate fender. That’s no good. I want more than an inch and a quarter of lag bolt holding things up. I went to my local Ace Hardware and grabbed some 4″ lag screws and matching 5/16″ washers. This gives 2.25″ of stud engagement, which seems a lot better to me. Multiply that by six total lag screws holding the racks in place and I feel pretty good. After locating the appropriate studs (and re-verifying at least five times) and measuring the top bolt starting hole at least twice, I had the first tire rack hanging from a wall and ready to see if I felt safe having it hold tires… and I did! The racks are really beefy, even with loose hardware in a test-fit situation. Note – lose hardware will be tightened shortly. 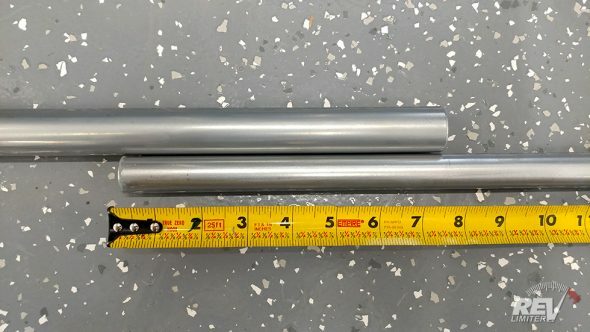 7.5 inches overlap at full 48 inch extension. These sliding tubes are what hold the tires and make the magic happen. 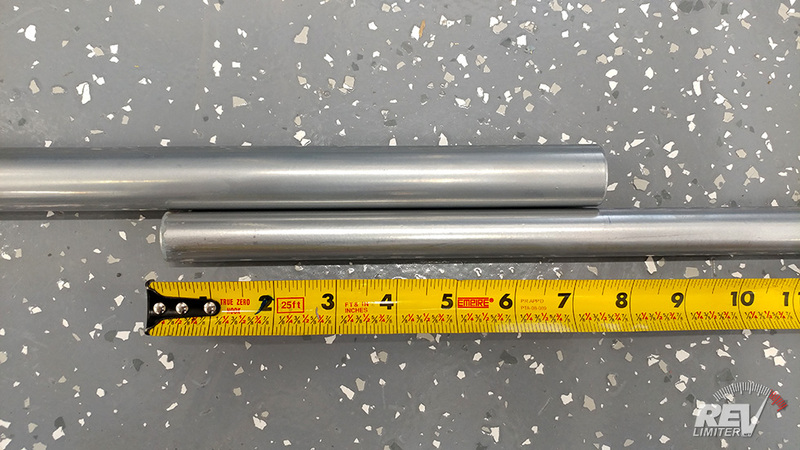 They fit nicely together and at the full 48″ extension, there’s still slightly more than 7.5″ of overlap inside the tube. I’m satisfied with the tube strength. Reading various online reviews about these, it doesn’t seem like the tubes are a failure point anyway. It seems like the lag screws or hardware that holds the side pieces themselves are at fault – more on that in a sec. 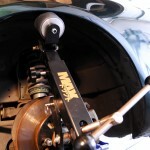 Test fitting with a wheel. A tiny Miata-sized wheel and tire fits wonderfully on the HyLoft. 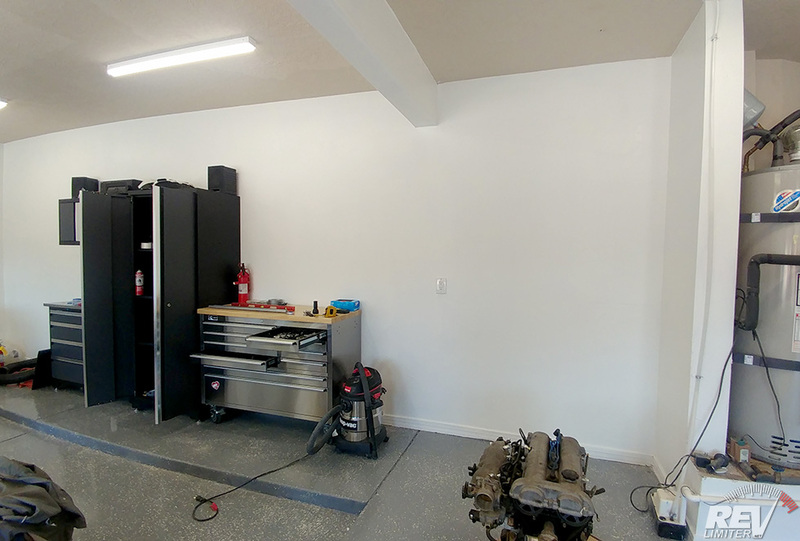 I only test fit one before tightening everything down, but it was enough to figure out wall and ceiling clearance as well as judge which holes to use for the telescoping tubes. These are advertised as “folding storage lofts” and include a little catch on each edge of that square tubing to allow the rack to fold. I do not believe this is safe and I suspect it’s the cause of rack failures I’ve read about online. See, to fold this rack, you need to leave some of the hardware loose. The nuts are all nyloc locking nuts and give a sense of being okay and tight “enough” out of the box since the rack is designed to fold. 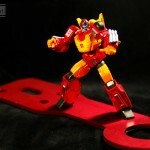 But if you inspect each hinge and the associated hardware you see that it’s not even finger tight. When you tighten everything up AS YOU SHOULD the rack becomes a solid, braced piece. It inspires confidence. But with the hardware tightened, it DOES NOT FOLD. This is good. It shouldn’t fold. If you buy these tire racks, tighten everything up. Don’t let them fold. Tight hardware is happy hardware. And there they are, installed. Aren’t they pretty? The one guy out there who read the Hyloft instructions recently and then found this blog post is currently screaming at the screen. 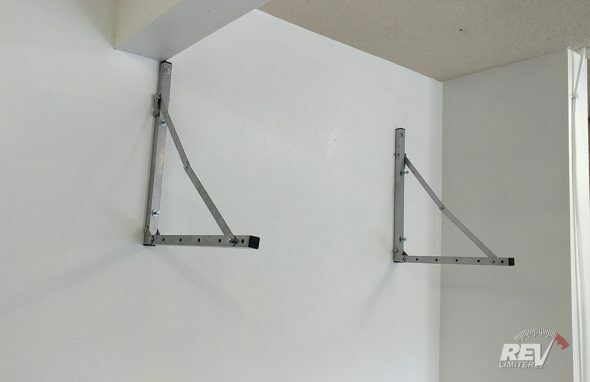 HyLoft says very plainly to never mount more than one of these racks on the same wall studs. They state this immediately after saying to never have a rack hold more than 300 lbs of tires. Miata tires are tiny and light. None of these tire/wheel combos weighs more than 30 lbs by itself. The 10 tires shown are STILL under 300 lbs and that weight is distributed across a larger area (and held by twice the hardware) than a single tire loft provides. 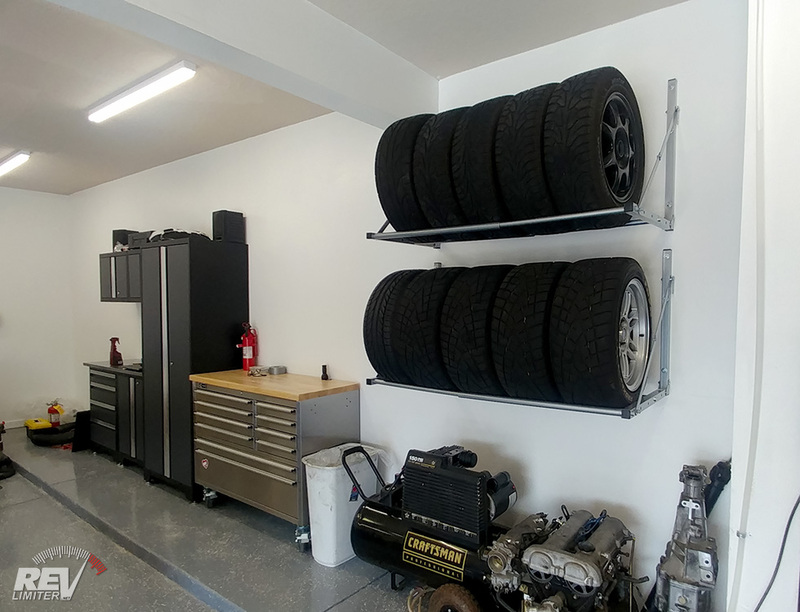 So, I feel safe in having two tire racks installed on the same set of wall studs. Please note that if you have Real Car wheels and tires, you should NOT install two sets of racks on the same studs. 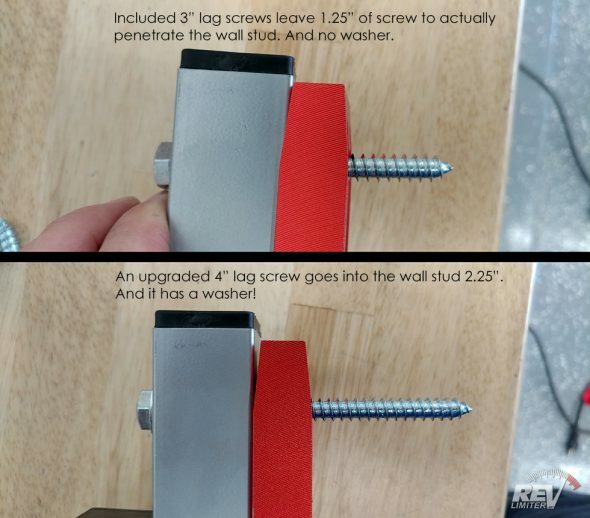 300 lbs or less on wall studs seems to be the limit as defined by HyLoft. This is so much nicer than having them on a metal shelf or in piles in the backyard. We’ll see how they do long term. I hope to not have an update to this post in a few months or years showing a failed rack and a crumpled fender. I hope this post helps a few folks out there. If you liked it or think I missed something important, please post in the comments below. Big fan of the blog and Sharka of course.The garage is looking great too. First time I have seen those 7 spokes you have mounted. I was wondering if you happen to know what specific colour they are? 7 spokes? Those are OEM 94-97 wheels. I (badly) spray painted them black. They go on Bucky in the winter for snow duty. Ya the OEM wheels. I have always heard of them referred to as 7 spokes. Okay they look like they have a bit of bronze to them on my screen here thats why I was asking. I am looking for a dark non-black colour for my winter 7 spokes. For the pivot bolts, you could potentially use shoulder bolts. That would allow the hardware too be tight, but not clamp the tubes. Finding the right shoulder bolt length might be an issue though. I think I’ll order a set or two of these soon for my winter track tire storage. Any issues w/ these in the following months? Considering them… thanks! Not a single issue yet. They’re fantastic.